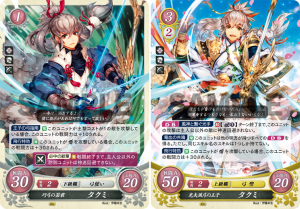 This week, Fire Emblem Cipher re-continued a steady stream of Series 14 card reveals, following the Hokkaido Earthquake a week ago. Tellius had the honour of receiving the first and final reveals this week. 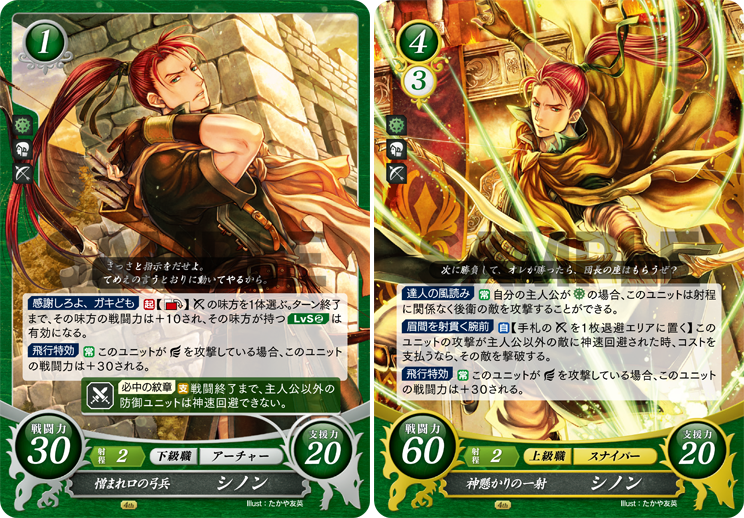 On Monday, Shinon, the blunt but able Sniper of the Greil Mercenaries showed up with a N/HN and R card. 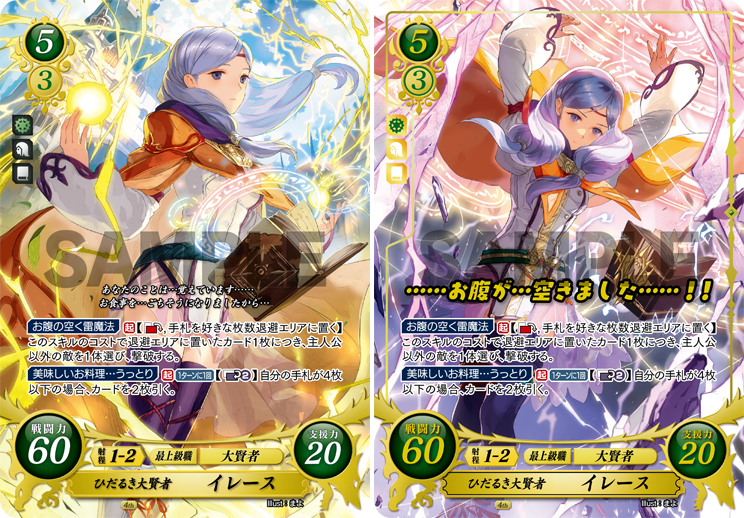 Later on Friday, we got two SR cards (a regular and + version) for Ilyana, the mage with an unquenchable appetite. The snazzy artwork by Mayo depicts Ilyana in her Archsage costume. 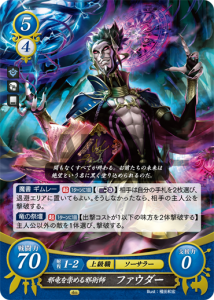 Awakening got some love this week as well. On Tuesday, Cynthia made her triumphant return since Series 4, sporting presumably H and HN cards, as well as her first SR card. Meanwhile, come Thursday, Nah also made a reappearance. This time she has a N/HN card and a R+ card (presumably there will be a non + version as well). Her first card shows her in the creepy mansion when you recruit her in Awakening. Then on Saturday, a R card was revealed for Validar, the figurehead of the Grimleal. Besides the daily reveals, on 21st September, fans can obtain 2 copies of a male Robin promo card by purchasing the November issue of Nintendo Dream. This should be a Series 13 promo. 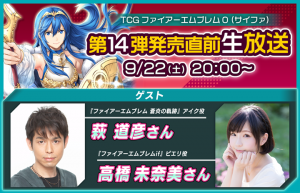 Last but not least, on 22nd September at 22:00 Japan time, the Cipher team will be holding a pre-release livestream for Series 14. Expect to see lots of pack openings and other hi-jinks. 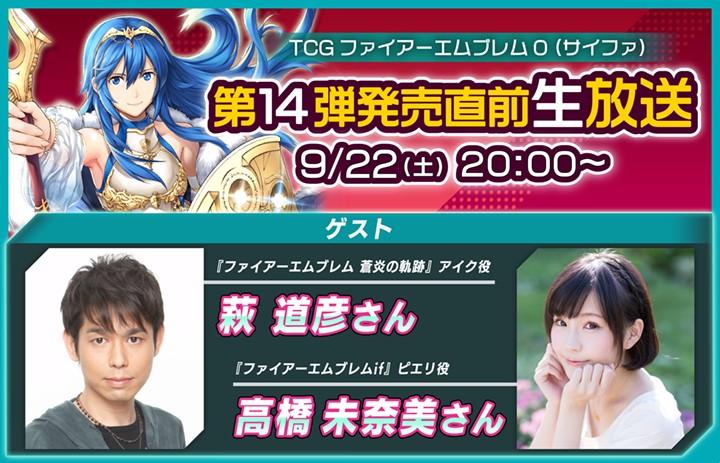 The guests for this livestream are Michihiko Hagi (Ike’s voice actor) and Minami Takahashi (Peri and Alice’s voice actress). 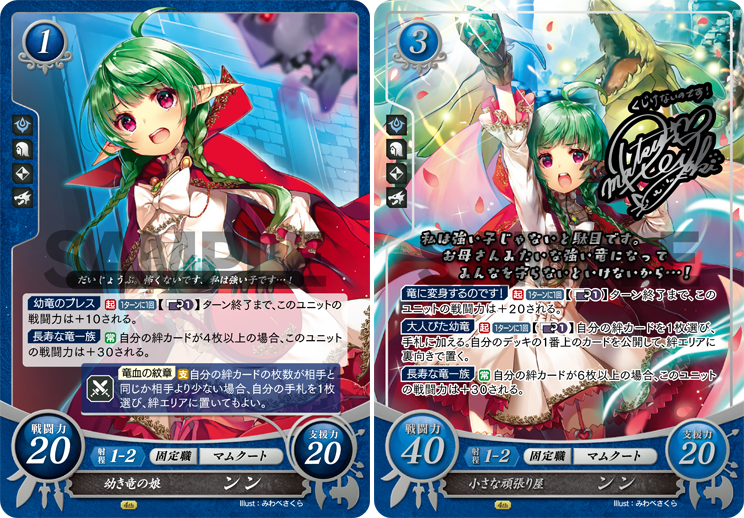 For those unaware, Alice is one of Cipher‘s many mascots and she appeared in the “Love and Bonds Special Talk” CD. Series 14 officially launches on 27th September. In the meantime, you’ll welcome to chat with us in the Cipher subforum on the forums. 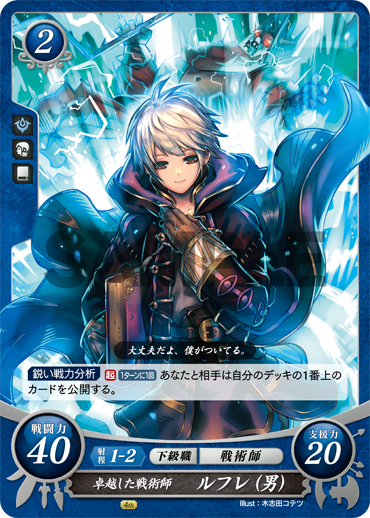 You can also check out the Cipher Wiki for card translations and additional information.